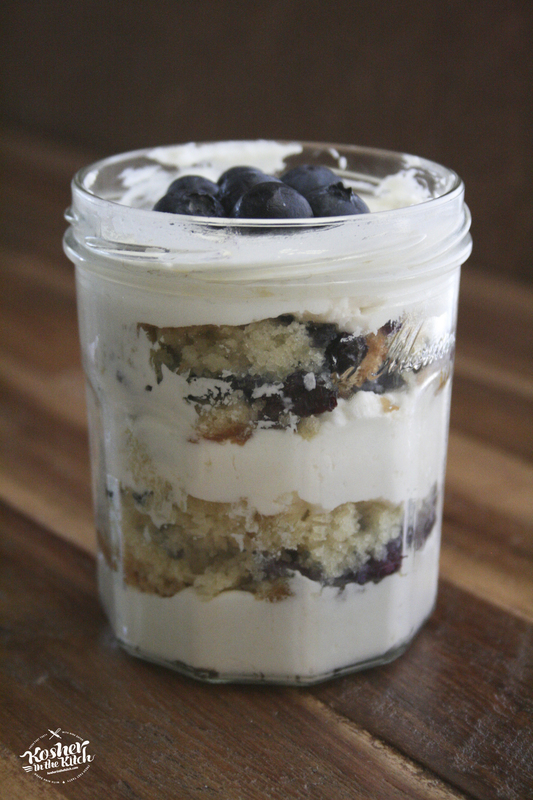 Lemon Blueberry Cake in a Jar - Kosher In The Kitch! 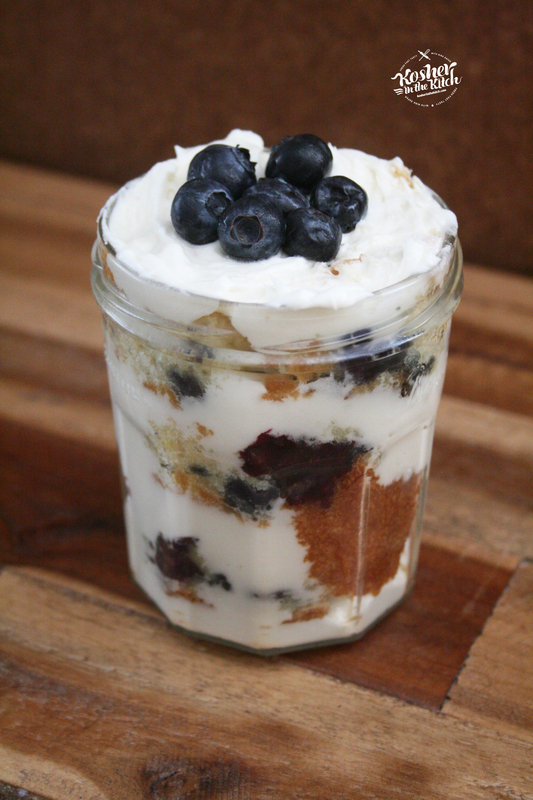 Lemon Blueberry Cake in a Jar - Kosher In The Kitch! My sister in law Shany is my inspiration for all things fit and healthy. When I want ideas for a delicious salad she is the gal I will call. That’s not to say she doesn’t enjoy a sweet treat every once in awhile. During one of our healthy food chats she mentioned the idea of cake in a jar and the sugar junkie in me could not wait to give it a try! 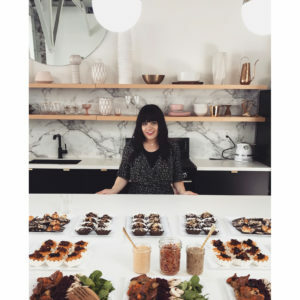 Shany, let’s enjoy our quinoa veggie salad then finish it up with a bite (or three!) of this! Combine cake ingredients in a large mixing bowl. 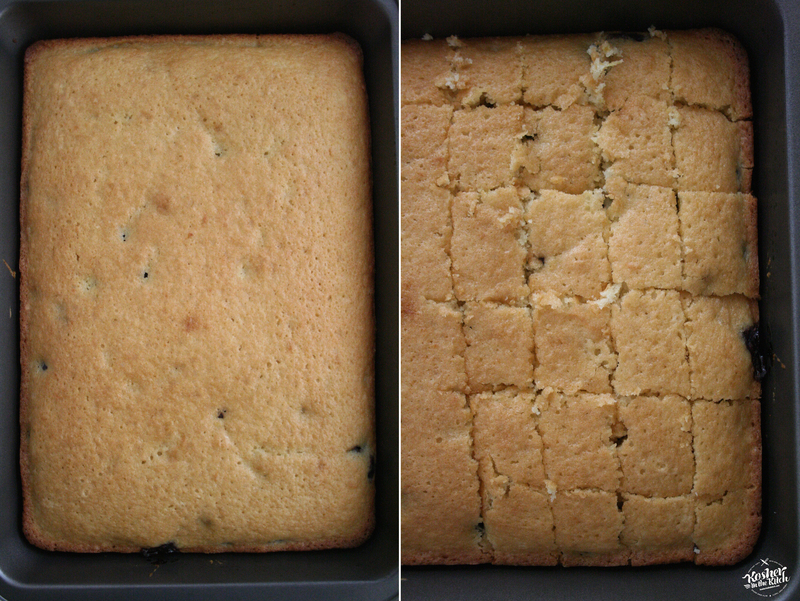 Place batter in 9×13 baking pan. Bake on 350 for about 40 minutes or until toothpick inserted comes out clean. Let cool off then cut cake into cubes. 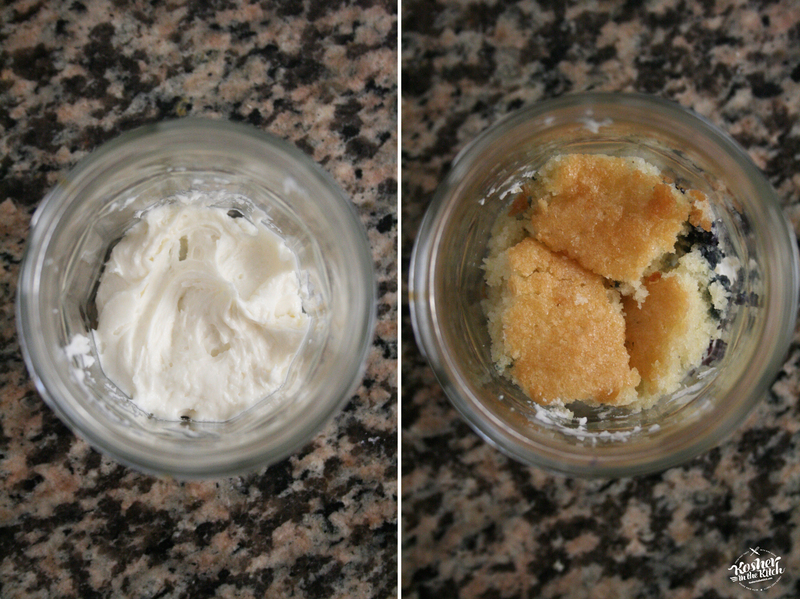 Place frosting in bottom of mason jar then top with cubes of cakes and add an additional layer of frosting and then cake on top. 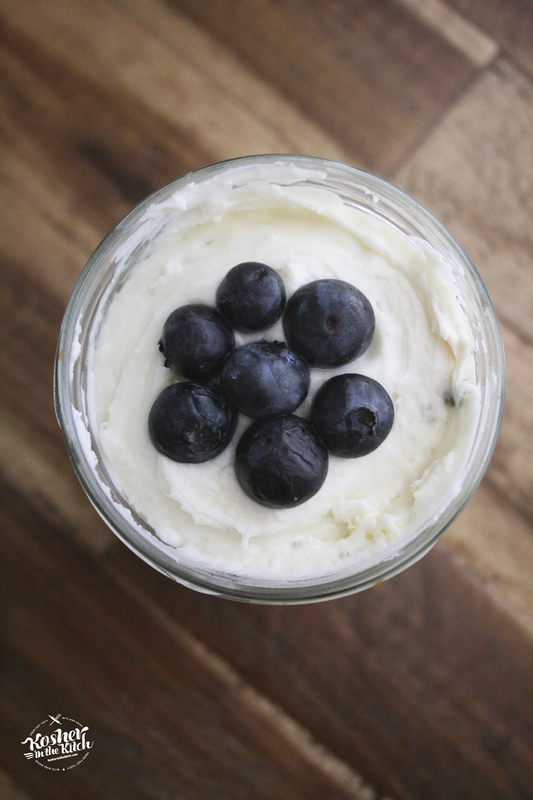 Finish off with a final layer of frosting and garnish with fresh blueberries. 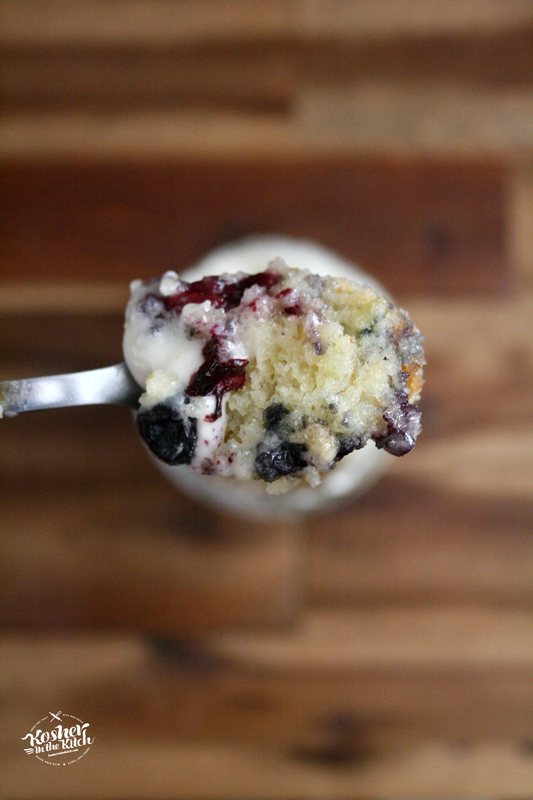 Tips & Tricks: Swap the blueberries for sprinkles to make funfetti sprinkle cake!